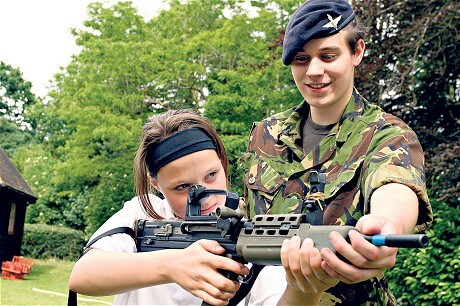 School cadet force training in UK secondary school. Image shot 2009. Exact date unknown….BHEM48 School cadet force training in UK secondary school. Image shot 2009. Exact date unknown.